Sonification, simply put, is the representation of data through sound. Sonification refers to the process of translating numerical data into sound. inspired by the idea to be able to illustrate or translate the object through sound using an image as a map. hear its own music – the music that exists in nature, and which the human ear is not able to perceive. functioning as a double pedal tone in high and low registers. 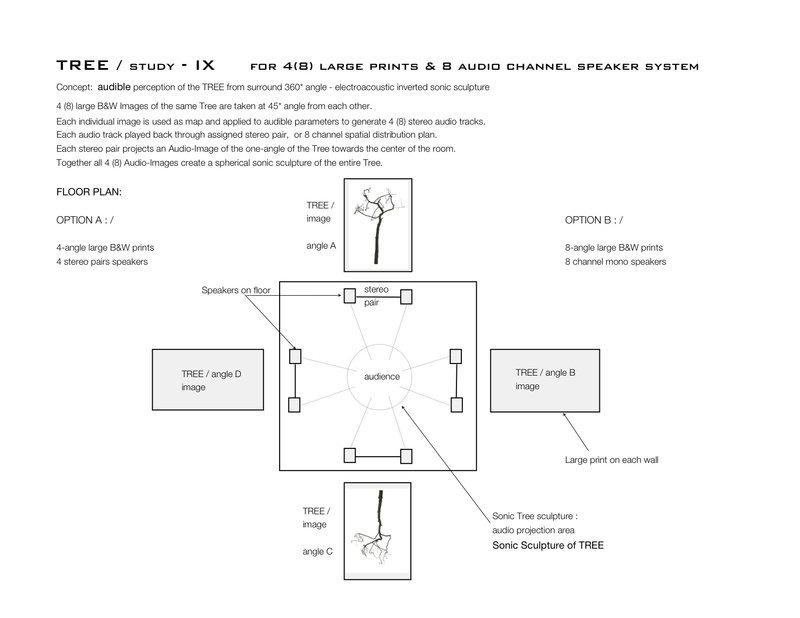 The sound of the Tree branches springing through the acoustics of the room using a 6 channel audio system. This composition is a musical reflection of the actual movement of the tree branches in space and time.